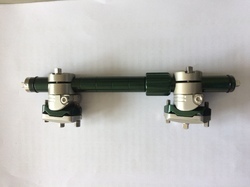 We are a leading Manufacturer of femur fixation systems, hoffman ii upper limb fixator set, transvers clamp, click on clamp, pertrochanteric fixator and ankle fixator from Pune, India. 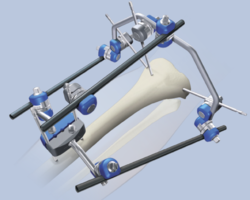 We feel immensely pleasant to offer an enormous range of Femur Fixation Systems. Features like cost effectiveness, trouble free performance, and rugged construction, and compact design increase demand of our offered range in the market. 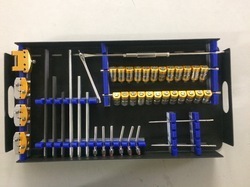 Components, used in manufacturing our offered range are quality assured and sourced from the licensed vendors. Apart from this, technical advancement, and remarkable quality enable the entire range to provide operational fluency and efficiency. 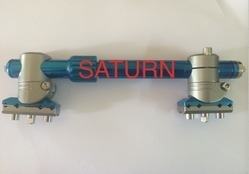 External Fixation System use for upper limb. 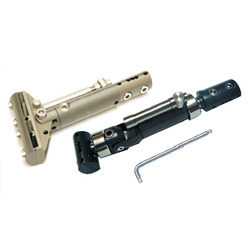 We are assisted by a team of highly skilled professionals in manufacturing and supplying a comprehensive range of Ankle Fixator.Besides being fabricated using fine grade components, these products are tested stringently by our quality analysts upon various parameters. Our offered products acquire many attributes like longer service life, low operational cost, and compact design that draw kind attention of our clients from every nook & corner of the world. Apart from this, our offered products can be operated and maintained very easily. 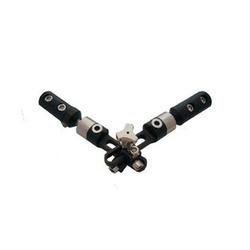 We manufacture and supply optimum quality Dynamic Axial Fixator System. 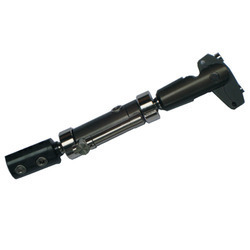 For the purpose of manufacturing these dynamic axel fixation systems as per the industry set norms, cutting-edge machinery is used. Owing to their high performance, sturdy construction and low maintenance, these systems are highly demanded. 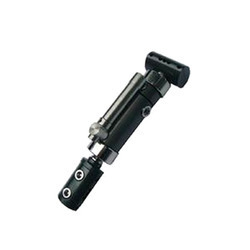 By keeping in mind variegated requirements of our respected clients, across the globe, we offer an innovative range of Dynamic External Fixator. These products are fabricated at our highly advanced manufacturing unit using the optimum quality components and sophisticated technology in synchronization with defined quality standards of international market. Being a quality oriented organization, we assure our clients that these products are quite impressive and best in quality. Clients can avail the entire range from us at an easily affordable price. 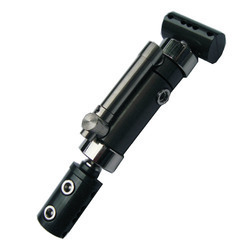 We offer high quality Elbow Fixation System to our valuable customers. Available with us at industry set norms, these systems are known for their easy operations, steady performance and longer functional life. For timely delivery of the offered product range, we have set up a wide and well-connected distribution network. 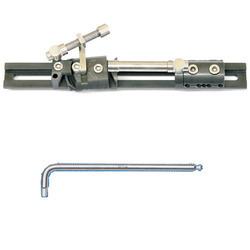 Our firm specializes in offering a distinct range of Elbow Fixtor. 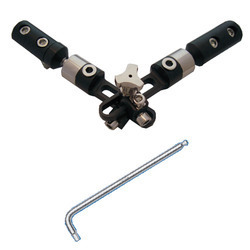 This exclusive range of fixators is widely demanded for meeting various industrial applications. Keeping pace with defined quality standard, these products are fabricated by a team of our talented workers using progressive technology and superb quality components. Also, these products are tested properly by our quality controllers against various quality parameters. 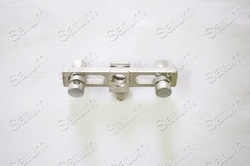 Our company is engaged in the manufacture, supply and wholesale of Finger and Foot Distractor that is made in accordance with the set industry guidelines. Proposed assemblage is extensively popular for its sturdy construction, efficient performance and consistent operation. 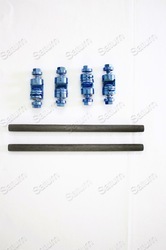 Owing to the supreme functionality, the proffered selection is extensively popular for its high resistance to corrosion. With the aid of latest machinery, we have been able to offer high quality Limb reconstruction Fixation System to our valuable customers. These systems are manufactured in conformity with the industry laid standards by using advanced machinery. Owing to their energy efficient design, optimum performance and longer functional life, these systems are highly demanded. Rail 400 mm = 1 No. Central Clamp = 1 No. 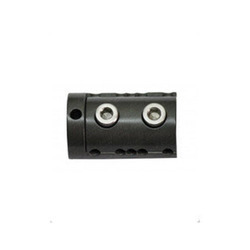 Central distance unit 80 MM = 1 No. Allen Key 6 MM = 1 No. Rail 350 mm = 1 No. Rail 300 mm = 1 No. 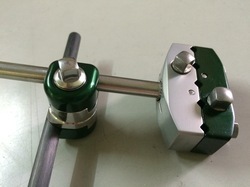 End clamp = 1 No. As an esteemed name in the concerned industry, we are engaged in offering a qualitative range of Paediatric Limb Reconstruction System. Keeping track of set industrial standards, we manufacture these products utilizing leading-edge technology and superior grade components. Moreover, these products are rigorously tested upon a series of quality tests under the vigilance of our qualified professionals. Our offered range is widely used by the clients in various industries for its high efficiency and other unique features. 1)Rod To Rod Clamp = 8Nos. 2) Pelvic clamp = 2 No. 3) Carbon connection Rod 8 mm X 300 mm = 2 Nos. 4) Carbon connection Rod 8 mm X 350 mm = 4 Nos. 5) Spanner 7 mm = 1 No. 1) Pin To Rod Clamp = 4 Nos. 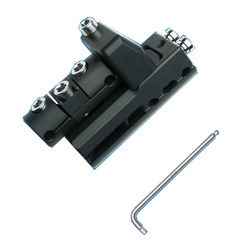 2)Rod To Rod Clamp = 5 Nos. 3) 5 pin clamp = 1 No. 5) Carbon connection Rod 8 mm X 300 mm = 3 Nos. 6)curved AL Rod = 1 No. 7) Spanner 7 mm = 1 No. 1) Carbon connection Rod 15 mm X 200 mm = 1 Nos. Our in-depth knowledge and industrial expertise have enabled us to offer a comprehensive assortment of Tibia Compound Fracture Fixation. We manufacture these products by making use of premium grade material and latest techniques so as to maintain the set industry standards. To make a flawless delivery from our end, we inspect the overall range upon various parameters. Our offered products are well-known in the market for their compact size, fine finishing, and sturdiness. We offer best in class High Tibial Osteotomy System to our valuable customers. To manufacture these systems in conformity with the industry laid standards, ultra-modern machinery is used. Driven by an intense desire to attain maximum customer satisfaction, our team of logistics professionals assures timely delivery of the offered products at the customers’ end. 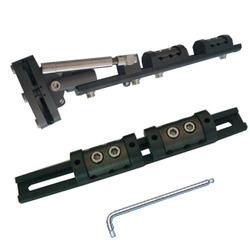 Acknowledged in the market as a manufacturer, supplier and wholesaler, we are providing our clients with End Clamp. 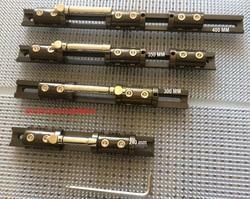 Unbeatable in quality, these clamps are manufactured with the aid of modern machinery and technology, installed at our premises. Apart from this, our team of quality controllers checks the entire range on various parameters to ensure flawlessness. 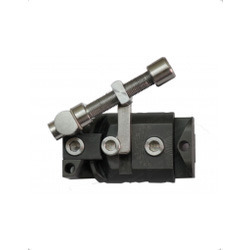 Meeting the demands of customers as a manufacturer, supplier and wholesaler, we are engaged in offering Graduated Swivel Clamp. 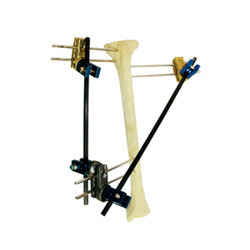 Under the guidance of orthopedic experts, these clamps are manufactured at our end using superior-grade materials that are obtained from reliable vendors of the industry. 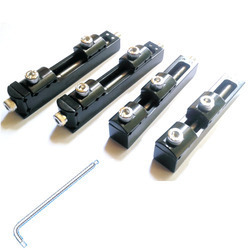 Post-production, these clamps are checked on various parameters to ensure flawlessness.